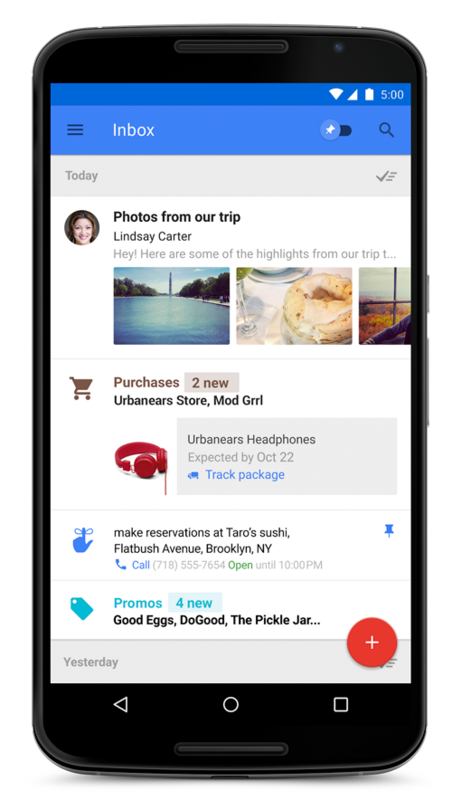 Google has launched Inbox, a new way of handling email. It has been developed by the people behind Gmail, but goes beyond the current functionality of Gmail. In the official announcement it is noted that email can get overwhelming and drown out important things that need your attention, or tasks that need to be done. The following video shows a few of the features of Inbox used in everyday life. Details of several elements of Inbox are described below. If you’ve used categories in Gmail, then Bundles should be easy to use as well. It allows you to group similar types of email together, review them and delete them when needed. 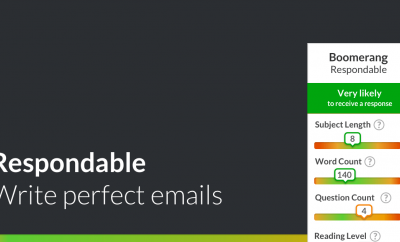 Inbox can learn to handle Bundles of emails from the way you process them. Have something important in a certain message? Highlights will allow you to view key information from that message. In this case, things like event information, photos and documents from friends and family as well as flight itineraries. Also, Inbox will show useful info from the web (which Gmail has had some Lab options for) like real-time flight status updates and package delivery info. Highlights is supposed to work together with Bundles to provide the important information necessary for easy viewing. The best inbox ninjas are the ones that handle email as a task manager: either delete all the FYI and other stuff, or make anything else that needs an action a task in your calendar. Inbox allows you to add your own Reminders to help remember to do certain things. Next to that, it has another task list feature: Assists, which help you with information to get things done. An example would be to write a Reminder to call a shop, where Assists would show you the phone number and whether they are open. Assists work within email as well: Inbox can add a map to a confirmation email when you make a restaurant reservation online. Flying anywhere? Inbox will provide a link to check-in. Lastly, Inbox has Snooze: this can be used to ‘Snooze away’ emails and Reminders for when it’s not the right time to handle them. Set Snooze to have them come back at another time -or- specific location, like at home or at the office. If you’d like to try out Inbox, send an email to inbox@google.com for an Inbox invite. More details can be found on the official Gmail blog here.